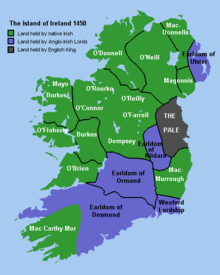 The Pale or the English Pale was the part of Ireland directly under the control of the English government in the Late Middle Ages. It had been reduced by the late 15th century to an area along the east coast stretching from Dalkey, south of Dublin, to the garrison town of Dundalk. The inland boundary went to Naas and Leixlip around the Earldom of Kildare, towards Trim and north towards Kells. In this district, many townlands have English or French names. Richard de Clare, 2nd Earl of Pembroke, Lord of Leinster, Justiciar of Ireland was an Anglo-Norman nobleman notable for his leading role in the Anglo-Norman invasion of Ireland. Like his father, Richard fitz Gilbert has since become commonly known by his nickname Strongbow which may be a mistranscription or mistranslation of Striguil. 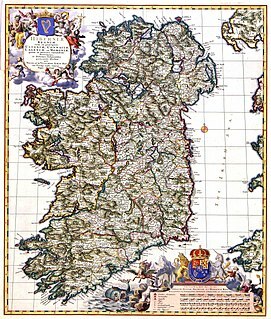 John's First Expedition to Ireland refers to a visit to the Island of Ireland by John Plantagenet as part of a campaign to secure the influence of the House of Plantaganet and the Crown of England, who planned to set up a Kingdom of Ireland within the Angevin Empire. John was himself a future King of England, the son of Henry II of England and had been declared Lord of Ireland by his father at the Council of Oxford in 1177. Despite his own ambitions for the Kingdom of Jerusalem, John Lackland was sent west to Ireland by his father and landed at Waterford in April 1185. Thomond was a kingdom of Gaelic Ireland, associated geographically with present-day County Clare and County Limerick, as well as parts of County Tipperary around Nenagh and its hinterland. 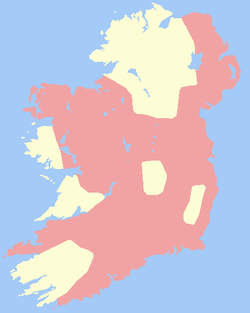 The kingdom represented the core homeland of the Dál gCais people, although there were other Gaels in the area such as the Éile and Eóganachta, and even the Norse of Limerick. It existed from the collapse of the Kingdom of Munster in the 12th century as competition between the Ó Briain and the Mac Cárthaigh led to the schism between Thomond and Desmond. 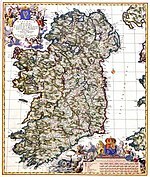 It continued to exist outside of the Anglo-Norman controlled Lordship of Ireland until the 16th century. The Statutes of Kilkenny were a series of thirty-five acts passed at Kilkenny in 1366, aiming to curb the decline of the Hiberno-Norman Lordship of Ireland. The Bruce campaign was a three-year military campaign in Ireland by Edward Bruce, brother of the Scottish king Robert the Bruce. It lasted from his landing at Larne in 1315 to his defeat and death in 1318 at the Battle of Faughart in County Louth. It was part of the First War of Scottish Independence and the conflict between the Irish and the Anglo-Normans. The history of Kilkenny began with an early sixth-century ecclesiastical foundation, this relates to a church built in honour of St. Canice, now St. Canice's Cathedral and was a major monastic centre from at least the eighth century. The Annals of the Four Masters recorded the first reference Cill Chainnigh in 1085. Prehistoric activity has been recorded suggesting intermittent settlement activity in the area in the Mesolithic and Bronze Age. Information on the history of Kilkenny can be found from newspapers, photographs, letters, drawings, manuscripts and archaeology. Kilkenny is documented in manuscripts from the 13th century onwards and one of the most important of these is Liber Primus Kilkenniensis. The history of the Bissett family in Ireland can be studied independently from that of the originally identical family in Scotland, because of their unique experience following their arrival in Ulster in the early or mid-13th century. 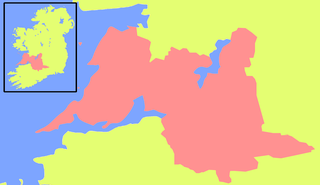 Here, while still remaining involved in Scottish affairs, the Bissetts would establish themselves as the Lords of the Glens of Antrim and quickly become equally, then eventually more involved in the politics of the Irish province, becoming among the most Gaelicised of all the so-called Anglo-Norman families in Ireland. The heads of the leading branch of the family soon adopted the Gaelic lineage style Mac Eoin Bissett, by which they are known in the Irish annals, and which translates as "Son/Descendant of John Byset", after a prominent ancestor born in Scotland. In a number of English and Anglo-Norman sources the same head of the family is referred to as the Baron Bissett, also with variants.